Lenahan & Rockwell, P.A., was established in January, 1993, by Thomas E. Lenahan, Jr. and Mark P. Rockwell. Mr. Lenahan had been a partner in the firm of Franchino & Lenahan, P.A., Raritan, New Jersey for approximately eighteen years. 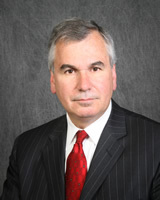 Mr. Lenahan has been an attorney for more than thirty-two years. Early in his career, he served as a Municipal Attorney, Board of Adjustment Attorney, and Municipal Criminal Prosecutor, in addition to representing plaintiffs in civil actions and defendants in both civil and criminal actions. He also represented respondent/employers in Workers' Compensation proceedings throughout the State of New Jersey. Since 1979, he has chosen to focus his practice upon representation of self-insured defendants and insurance carriers in civil litigation. He has also represented seriously injured plaintiffs. Mr. Lenahan was certified as a Civil Trial Attorney by the New Jersey Supreme Court in 1982, has been re-certified by the Supreme Court on a continuous basis thereafter and remains certified. Certification is based upon professional experience as a civil trial lawyer, professional reputation, and substantial educational involvement. Please refer to New Jersey Rule of Court 1:39-2. Mr. Lenahan was nominated and elected to membership on the Civil Trial Bar Executive Committee of the New Jersey State Bar Association at age thirty-three, making him one of the youngest attorneys ever to hold that distinction. The Civil Trial Bar Section is the largest section of the New Jersey State Bar Association. Mr. Lenahan went on to serve as Chairperson of that Executive Committee from 1992 to 1994. In that capacity, he was the sole representative of the State of New Jersey at an American Bar Association assembly of leading civil trial lawyers from each of the fifty states held in the State of Georgia in 1994. Mr. Lenahan continues as a member of that Executive Committee serving as the Legislative Coordinator for the Group. In that regard, he is called upon to review all legislation introduced in the New Jersey Legislature which in any way involves matters of civil litigation on a substantive or procedural basis. Mr. Lenahan was inducted as a member of the Bar of the United States Supreme Court in 1989 in ceremonies conducted at the Supreme Court in Washington, D.C. by then Chief Justice Rehnquist. Mr. Lenahan was elected to membership in the American Board of Trial Advocates (ABOTA) in 1990 and served on the Executive Committee of the Northern New Jersey Chapter of that organization commencing in 1998. In December, 2004, he was elected President of the Northern New Jersey Chapter of ABOTA and held that position through a two-year term which ended in December, 2006. ABOTA is a national organization consisting of slightly more than 6000 civil trial attorneys, both plaintiff and defense, selected on the basis of civil trial experience, character, and reputation. Membership in the Northern New Jersey and Southern New Jersey Chapters of ABOTA on a combined basis consists of only approximately 125 attorneys out of the more than 65,000 attorneys currently licensed to practice law in the State of New Jersey. Mr. Lenahan has presented numerous lectures and seminars on a variety of topics in the field of civil litigation. He has lectured and presented seminars for the New Jersey State Bar Association, ABOTA, Institute for Continuing Legal Education (ICLE), several self-insured corporations, and many insurance carriers. He is also the author of several articles concerning matters of civil litigation and trial strategy. Rutgers, The State University of New Jersey School of Law - Newark, Newark, New Jersey, 1974, J.D.